After the sacrifice of a 733i for its cylinder head, a number of weeks and many, many nights looking on Internet sale sites for parts, the 633csi is back on the road. It’s not without its issues but it’s driving and it’s sitting in my driveway which is more than it’s done for the past few months. I was beginning to forget why I’d bought this car. Why I hadn’t bought a Honda Accord and settled for mundane. Then I looked back at it in the car park and instantly remembered. Here’s a car that cost almost $40,000 in 1977 (almost as much as a Ferrari 308) that can be had for not a lot of money and still looks as good as the day it was launched. Now obviously the first thing you want to do after picking your car up from fairly major engine surgery is to take it for a drive. 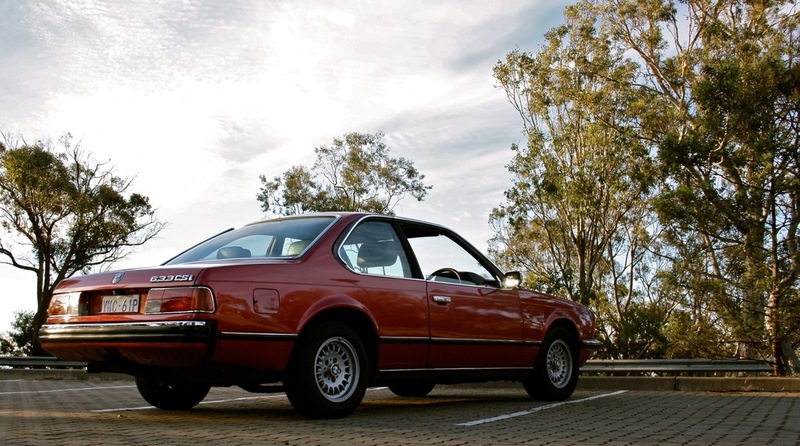 The first thing you notice when you do this with a 633csi is that it’s not a sports car. It may have sporting pretensions but with its 3-speed automatic transmission and hefty weight (1,500kg) it’s not exactly what you’d call spritely; especially in 2014. But if you’re driving this car fast you’re missing the point. This is a car that makes you sit back and just enjoy the fact that it looks this good. Now I may have eluded earlier to some more issues that the car has. I still need to look at the passenger door which hasn’t been able to be opened for a number of years and while i’m at it I think the dash will have to come out to replace the occasionally leaking heater core. Oh and the suspension could do with a freshen up and those BBS wheels need a fresh coat of paint. This classic car thing’s not for the faint hearted…It’s better than driving a Honda Accord though.